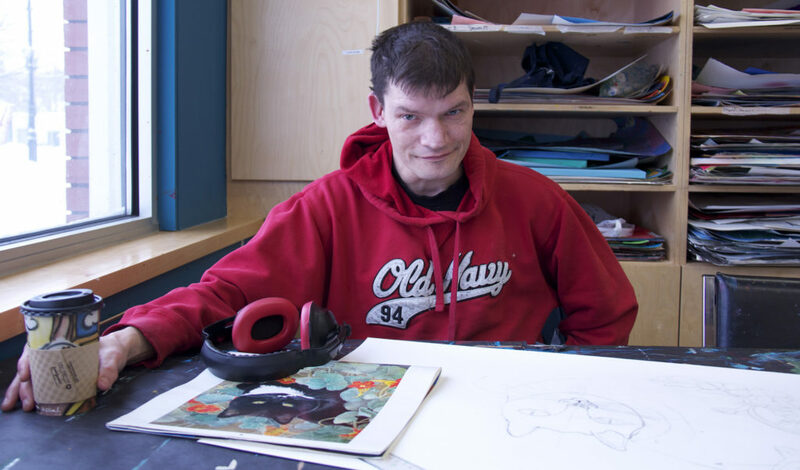 James has been making art in The Nina studios since 2012 and is hoping to eventually show and sell his work. Born in 1967, he lived between Edmonton and Coquitlam, B.C. until settling in Edmonton in 1999. Aside from regular employment in local restaurants, James devotes his time to making art. He has worked intensively in acrylic ink, often creating works with fantasy or graffiti art elements. Generally using a full colour spectrum, he focuses on fine details, sometimes using a magnifying glass. James takes risks with his work and over the last year has experimented with cross stitch to create unique work.